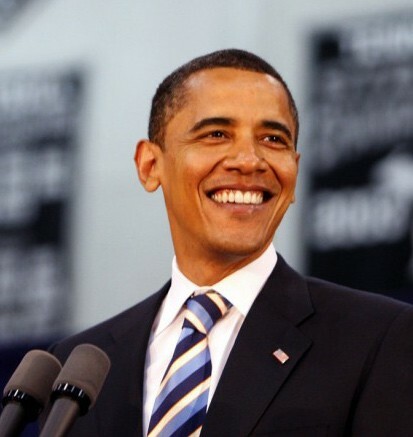 The Savannah Tribune wholeheartedly supports President Barack Obama for a second term. He needs another four years to continue the economic recovery that is currently underway. President Obama has been in office since 2008, and since that time, there has been a steady increase in job growth for 31 straight months – the most job growth in any 3 ½ years since 1997. It took President George W. Bush eight years to squander the budget surplus that was in place in 2000, and get us into a Recession that was comparable to the Great Depression of the 1930’s. Now, that we are on the path to recovery, we must give President Obama the chance to continue this upward pattern. He has a solid plan to improve our economy from the Middle Class outward, reclaiming opportunities for growth, investing in small businesses, research and education, and re-tooling and creating job skills sets that will re-build and uplift a new middle-class in rural and urban America. We must not return to the “trickle-down economics,” that DID NOT WORK. We like the fact that President Obama supports equal rights which includes equal pay for women for equal work; and equal protection under the law for women when it comes to decisions about their reproductive health. He believes that the personal choices and decisions of women (whether Pro-Choice or Pro-Life) should be respected, and that their reproductive choices should be made by them with their mates, physicians, and/ or spiritual leaders. President Obama supports equal access to affordable and quality health care, with nondiscrimination in service or health insurance coverage. He supports a level playing field so that everyone plays by the same rules and pays their fair share in taxes to keep America number one in the world. He supports equal opportunity and access to affordable, high quality education. President Obama has championed tax cuts for working middle class families. He has been decisive in Foreign Policy. He has ended the war in Iraq, and is bringing our troops home from Afghanistan. He made the tough decision to bring Osama bin Laden to justice. He has restored America’s standing in the world so we no longer have to act in isolation. We like President Obama’s plan to reduce the deficit and engage in nation building that includes using half the sav- ings from ending the wars in Iraq and Afghanistan to create jobs that will re-build our infrastructure. President Obama has demonstrated his concern for our veterans and active-duty servicemen and women who need special attention to combat the physical and emotional scares of the battlefield. We like the fact that through the Dream Act, President Obama is lifting the concern and fear about deportation among the young, hardworking immigrants who, as children, were brought to this country; and that he is committed to working with Congress for comprehensive and fair immigration reform. We like the fact that President Obama cares about our seniors. He has improved Medicare by adding free preventive care; saving Seniors approximately $600 by closing the” donut hole;” and extended Medicare by 8 years by eliminating $716 billion in Medicare waste, abuse and fraud. He is fighting to protect and strengthen Social Security. We like the fact that President Obama is investing in Clean Energy and reducing our dependence on foreign oil. He is implementing new standards to keep air and water clean while producing Clean Energy and reducing our oil imports in half by 2020. We are less dependent on foreign oil today than in the last 20 years, and he is developing all of our energy resources while training a new workforce who will be ready for the new jobs associated with American energy production. We like the fact that through ObamaCare, millions of Americans who were previously uninsured will be able to access quality and affordable health care and that citizens will no longer be denied coverage because of pre-existing conditions, nor have lifetime caps placed on their healthcare coverage. Please Vote Early this week, or on November 6th . Vote for the Clear Choice to keep America moving Forward. Vote to re-elect President Barack Obama.